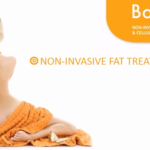 Collagen is a protein that gives skin structure and strength, firmness, and elasticity. 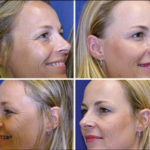 As we age, the rate at which we produce collagen slows down by about 1% each year after the age of 25, while the rate at which collagen is destroyed increases. 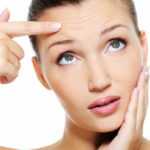 This leads to fine lines, wrinkles, and sagging skin. To increase collagen production within the skin we recommend getting professional resurfacing procedures and a home care regimen that includes retinol, peptides, and antioxidants. In addition to treating collagen with topical methods, there is evidence to support that ingesting hydrolyzed collagen further boosts the collagen levels within the skin. Hydrolyzed collagen is a protein that has been broken down into tiny fragments, allowing for better absorption by the body. Once absorbed, the collagen levels in the skin increase thereby decreasing fine lines and wrinkles and improving skin elasticity, hydration, and roughness. The revolutionary new beauty liquid works in conjunction with both a professional and home care anti-aging program for amazing results. Clinically proven to increase collagen by 65% in just 60 days and reduce the appearance of fine lines and wrinkles by 63%, this delicious drink delivers fast results and promotes younger looking skin. 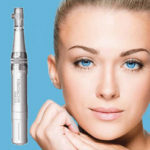 Using a complex called Lumiplex these daily shots work to rebuild and repair skin on a cellular level. It delivers 5 powerful restorative compounds to the skin: hydrolyzed collagen peptides, phytoceramides, biotin, a proprietary ultra-nutraceutical antioxidant complex, pyridoxine HCL. By incorporating ingestible collagen into your daily routine you can expect to see an overall improvement in your skin in as little as 1 week, as well as increased skin hydration by up to 40% and skin elasticity by 15% within 3 weeks. The product is sugar-free, dairy-free, soy-free, gluten-free, and non-genetically modified (non-GMO). Embody MedSpa is all about maximizing results in the shortest amount of time safely. Adding the YANA Daily Collagen Shots to your existing skin care program is such an easy way to accomplish that. Stop in to try a FREE sample of this revolutionary new treatment and take your skin care routine to the next level.